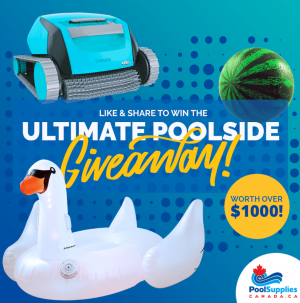 Pool Supplies Canada’s Like & Share To Win Poolside Giveaway (the “Contest”) starts on July 31st, 2018 at 8:00 a.m. Eastern Time (“EST”) and ends on August 31st, 2018 at 5:00 p.m. ET (“Contest Period”). ELIGIBILITY: Contest is open to legal residents of British Columbia, Alberta, Saskatchewan, Manitoba, Ontario, New Brunswick, Prince Edward Island, Newfoundland Labrador and Nova Scotia who are eighteen (18) years of age or older (residents of the Territories and Quebec are not eligible for entry in the Contest). Employees of Pool Supplies Canada Inc. (“Sponsor”) and members of their immediate families (spouse and parents, children and siblings and their respective spouses, regardless of where they reside) and persons living in the same household, whether or not related, of such employees, are not eligible to enter or win. Void where prohibited by law. Contest is subject to all applicable provincial laws. 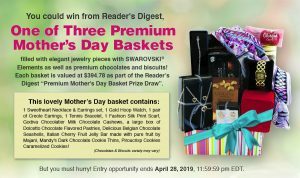 HOW TO ENTER: During the Contest Period, follow the instructions provided to enter the Contest. 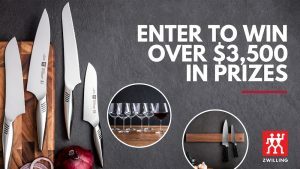 All entries must be received by 5:00 p.m. EST on August 31st, 2018 to be eligible. Entries generated by script, macro or other automated means and entries by any means that subverts the entry process are void. Entries are made by “sharing” the Contest image on one or more of the contestants social media accounts; each “share” will result in one (1) entry for the Contest. A maximum of 25 entries will be awarded per person. All entries become the sole property of the Sponsor and will not be acknowledged or returned. Sponsor’s clock is the official timekeeper of this Contest. 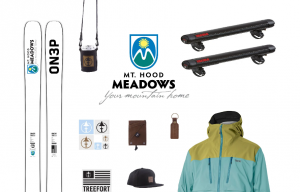 RANDOM DRAWING: Before September 15th, 2018, Sponsor will select one (1) potential winner in a random drawing from among all eligible entries received throughout the Contest Period. Odds of winning depend on the number of eligible entries received and are subject to change throughout the Contest Period. 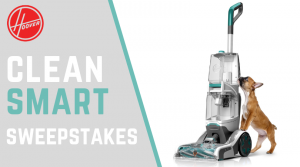 WINNER NOTIFICATION: By September 16th, 2018, the potential winner will be notified by email or phone call. The potential winner will be required to complete a skill testing question in order to claim the Prize, along with a publicity release after the date of issuance. If such documents are not returned within a time period of five (5) business days, prize or prize notification is returned as undeliverable, Sponsor is unable to contact the potential winner, or the potential winner is not in compliance with these Official Rules, the prize will be forfeited and, at Sponsor’s discretion, an alternate potential winner may be selected by random drawing from among all remaining eligible entries received. (1): One Dolphin Encore Robotic Pool Cleaner from Maytronics. Maximum Approximate Retail Value (“ARV”): $839. (2): One Giant LED Light Up Ride-On Swan Pool Float from Swimline. Maximum Maximum Approximate Retail Value (“ARV”): $169. (3): One Watermelon Ball Ultimate Pool Game from PlaSmart. Maximum Maximum Approximate Retail Value (“ARV”): $40. 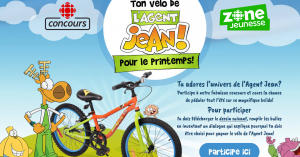 PRIZE CONDITIONS: The actual value of the prize may vary based on the winner’s selection. Any difference between the actual value of the prize and stated ARV will not be awarded. Winner must comply with all rules and regulations. The prize will be awarded as is. No substitution, assignment, transfer, or cash equivalent of prize (or portion thereof) is permitted, except by Sponsor, who reserves the right to substitute prize (or portion thereof) with one of comparable or greater value, at its sole discretion. All prize details are at Sponsor’s sole discretion. GENERAL CONDITIONS: By participating in the Contest, each entrant agrees: (a) to abide by these Official Rules and decisions of Sponsor, which shall be final and binding in all respects relating to this Contest; (b) to release, discharge and hold harmless Sponsor, its promotional partners, and its and their respective parents, affiliates, subsidiaries, and advertising and promotion agencies, and the respective officers, directors, shareholders, employees, agents and representatives of the foregoing (collectively, “Released Parties”) from any and all injuries, liability, losses and damages of any kind to persons, including death, or property resulting, in whole or in part, directly or indirectly, from entrant’s participation in the Contest or the acceptance, possession, use or misuse of the prize (or portion thereof); and (c) to the use of his/her name, voice, performance, photograph, entry, and/or likeness for programming, advertising, publicity and promotional purposes in any and all media, now or hereafter known, worldwide and on the Internet, and in perpetuity by Sponsor and its designees, without compensation (unless prohibited by law) or additional consents from entrant or any third party and without prior notice, approval or inspection, and to execute specific consent to such use. By participating, entrant also agrees not to release any publicity or other materials on his/her own or through someone else regarding his/her participation in the Contest without the prior consent of the Sponsor, which it may withhold in its sole discretion. The Contest is executed through the Gleam.io platform; please refer to https://gleam.io/privacy/ for more information regarding the collection and use of your information for this Contest. MISCELLANEOUS: Released Parties are not responsible for lost, late, incomplete, illegible, damaged, inaccurate, stolen, delayed, misdirected, undelivered, or garbled entries, or for lost, interrupted or unavailable network, server, Internet Service Provider (ISP), website, or other connections, availability or accessibility or miscommunications or failed computer, satellite, telephone or cable transmissions, lines, or technical failure or jumbled, scrambled, delayed, or misdirected transmissions or computer hardware or software malfunctions, failures or difficulties, or other errors or difficulties of any kind whether human, mechanical, electronic, computer, network, typographical, printing or otherwise relating to or in connection with the Contest, including, without limitation, errors or difficulties which may occur in connection with the administration of the Contest, the processing of entries, the announcement of the prize, or in any Contest-related materials. Released Parties are also not responsible for any incorrect or inaccurate information, whether caused by site users, tampering, hacking, or by any equipment or programming associated with or utilized in the Contest. Released Parties are not responsible for lost prizes after they are delivered to the winner, and are not responsible for any injury or damage to any person’s computer related to or resulting from participating in this Contest or downloading materials from or use of the website. Persons who tamper with or abuse any aspect of the Contest or associated websites, who act in an unsportsmanlike or disruptive manner or who are in violation of these Official Rules, as solely determined by Sponsor, will be disqualified and all associated entries will be void. Should any portion of the Contest be, in Sponsor’s sole opinion, compromised for any reason, including virus, worms, bugs, non-authorized human intervention or other causes which, in the sole opinion of the Sponsor, corrupt or impair the administration, security, fairness or proper play, or submission of entries, Sponsor reserves the right at its sole discretion to suspend, modify or terminate the Contest (or portion thereof) and, if terminated, at its discretion, select the potential winner in a random drawing from among all non-suspect, eligible entries received prior to action taken. CAUTION: ANY ATTEMPT TO DELIBERATELY DAMAGE THE WEBSITE OR UNDERMINE THE LEGITIMATE OPERATION OF THE Contest MAY BE IN VIOLATION OF CRIMINAL AND CIVIL LAWS AND SHOULD SUCH AN ATTEMPT BE MADE, SPONSOR RESERVES THE RIGHT TO SEEK ANY AND ALL REMEDIES AVAILABLE FROM ANY SUCH INDIVIDUAL TO THE FULLEST EXTENT OF THE LAW, INCLUDING CRIMINAL PROSECUTION. ARBITRATION: Except where prohibited by law, as a condition of participating in this Contest, each entrant agrees that (1) any and all disputes and causes of action arising out of or connected with this Contest, or any prize (or portion thereof) awarded, shall be resolved individually, without resort to any form of class action. Under no circumstances will entrant be permitted to obtain awards for, and entrant hereby waives all rights to claim, punitive, incidental or consequential damages, or any other damages, including attorneys’ fees, other than entrant’s actual out-of-pocket expenses (i.e., costs associated with participating in this Contest), and entrant further waives all rights to have damages multiplied or increased. CHOICE OF LAW: All issues and questions concerning the construction, validity, interpretation and enforceability of these Official Rules, or the rights and obligations of entrant and Sponsor in connection with the Contest, shall be governed by, and construed in accordance with the substantive laws of Canada.